This service can be taken out if there is anything that you are not happy to pack or if you think you would like to do the bulk of the packing but just aren’t sure if you will have enough time to do it. A lot of our customers choose this option if they are not comfortable packing the very delicate items such as glassware, crockery or ornaments and would like to leave it up to the professionals. If you decide to take this option, you literally do not have to do a thing. Your packing team will take care of absolutely everything and pack up your entire home. We normally do this the day before your home removal which limits the disruption down to only a couple of days. We will of course leave any overnight essentials to be packed up on the morning of your removal. In addition to these two options we can undertake various aspects of furniture export wrapping. Although this is usually only required for international moves, we are sometimes asked to export wrap items of furniture that are extremely expensive or are irreplaceable family heirlooms that hold significant sentimental value. More often than not however, artwork tends to be the most frequently requested article to be export wrapped. 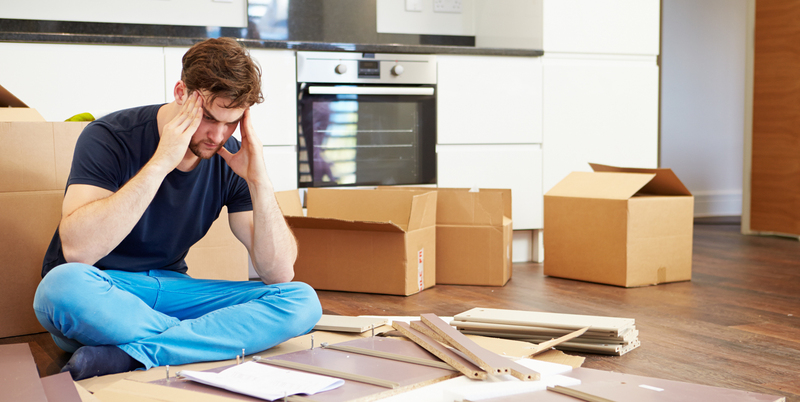 We also offer an unpacking service for those that want to leave absolutely everything to us. Once the unpacking has been completed, we will take away all of our packing materials once we are done leaving you to enjoy your new home without a mountain of boxes, bubble wrap and packing paper in your way. With our professionally trained staff and fully equipped vehicles, you can be assured that your belongings will be more than adequately protected. We use sofa, mattress and television covers as standard and are able to transport your hanging clothes in purpose made wardrobe boxes and any tools/equipment we require for your move will be assessed at the point of surveying. We also provide floor runners to prevent marking your floors. With the level of training given to all of our staff members, we have yet to come across anything that we have been unable to dismantle and reassemble with the tools we have at our disposal. We can also disconnect and reconnect appliances at your new property providing the correct fittings are in place. We can also assemble brand new flat pack furniture if you are considering purchasing something for your new home.